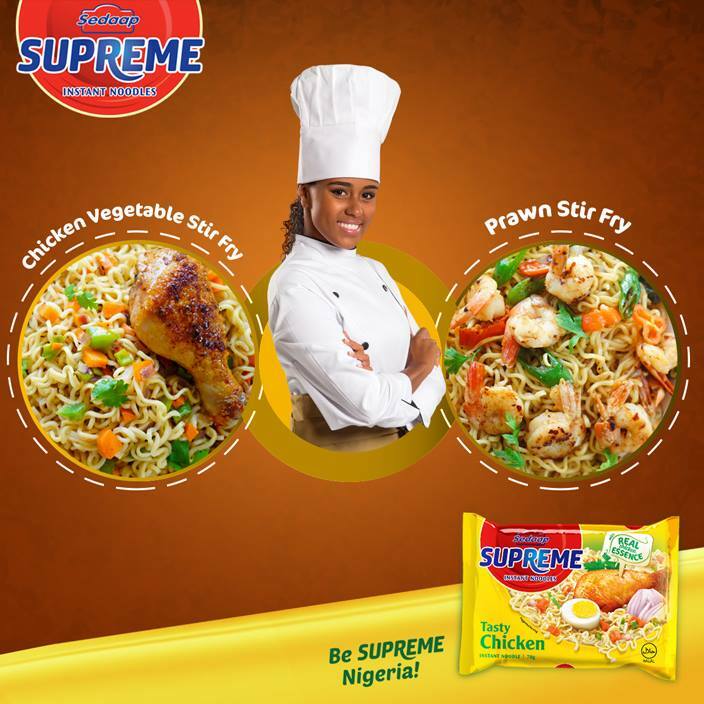 Supreme Noodles Recipe Contest. Win Cartons of Noodles. Here is a Contest from Supreme Noodles. Supreme Prawns Stir Fry. Hmmm… yummy delicious! Got your own unique Supreme Noodles recipe? Send the image to us for a chance to be one of 3 people to win a carton of Supreme Noodles. #BeSupremeNigeria.